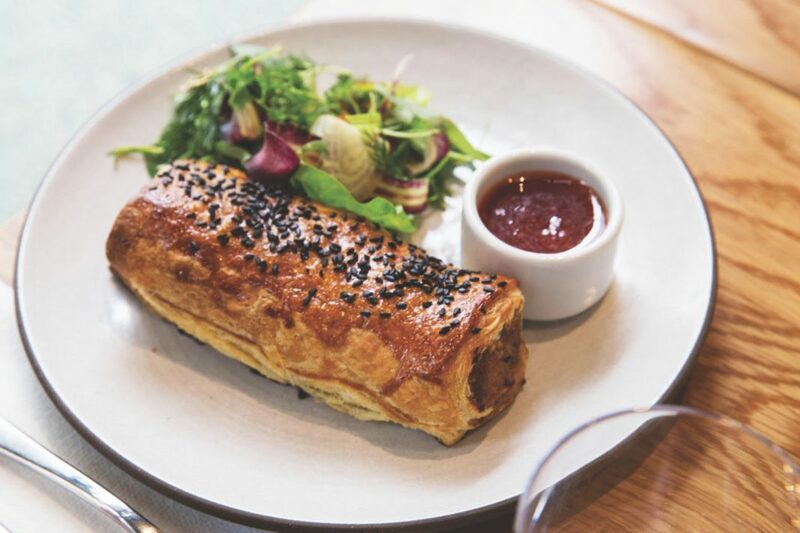 When Ria Barbosa, chef at Paramount Coffee Project’s new ROW DTLA outpost, was tasked with creating a menu for the Aussie-owned café, she knew she wanted to feature one of Australia’s most beloved comfort foods: the sausage roll. She replaces ketchup, the prototypical sausage roll condiment, with a small saucer of sweet chili sauce for dipping, and offers a mixed herb salad composed of whatever arrives from the market that day. The dish works so well you’d be forgiven for thinking Barbosa has been making it for years instead of months.